This week, nearly two million people are expected to converge at the holy city of Mecca in western Saudi Arabia for the annual haj. This year's pilgrimage takes places against a backdrop of increased militant violence, a surge in number of Middle East Respiratory Syndrome virus infections and Saudi Arabia's ongoing war with Yemen. About 100,000 police officers have been deployed for security, said the country's Interior Ministry. Here are five things to know about one of the world's largest annual gatherings. It is obligatory for all able-bodied Muslims to embark on the journey at least once in their lifetime. There is also the umrah, or "lesser pilgrimage", that can be undertaken at any time of the year. The haj occurs during Zulhijah, the 12th month in the Muslim calendar. The dates change each year as it is based on lunar cycles. Eid al-Adha or the "Feast of Sacrifice" - also known as Hari Raya Haji - is one of two religious holidays celebrated by Muslims around the world. 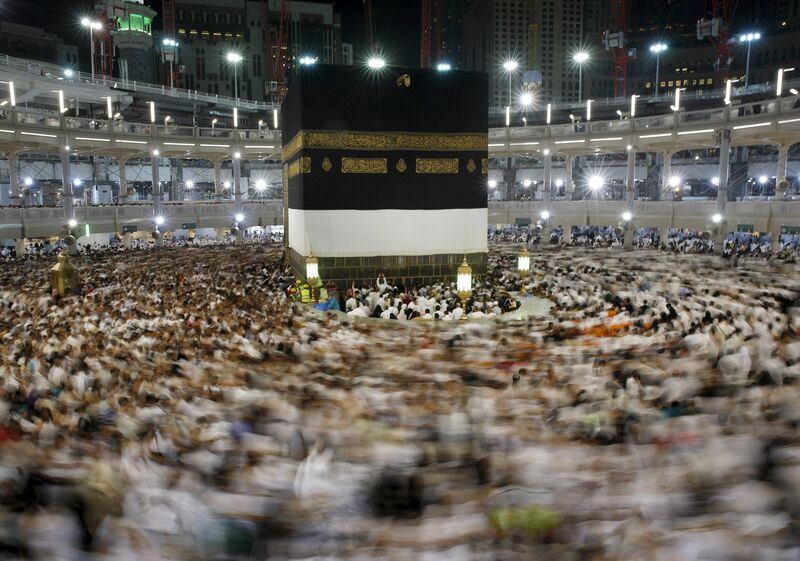 It marks the end of the haj and falls on Sept 24 in 2015. 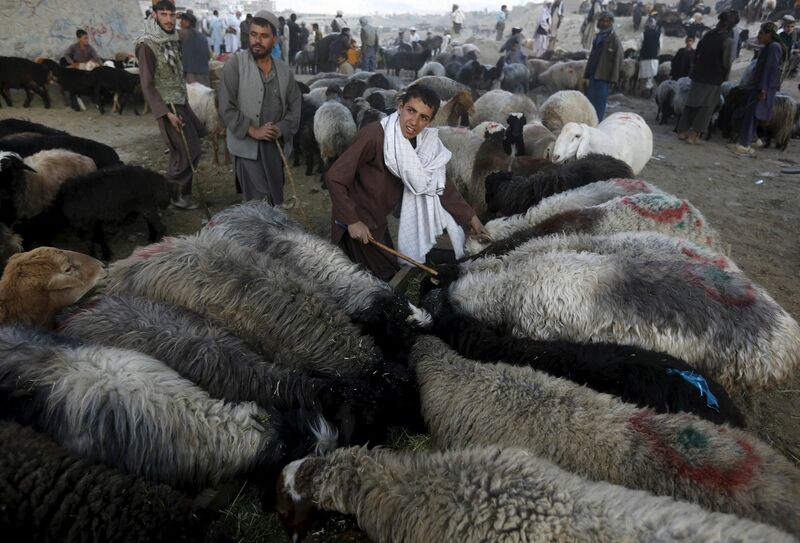 Muslims not performing the haj either sacrifice livestock or donate money to charity to honour the willingness of Ibrahim to sacrifice his son as an act of obedience to Allah. The first day is called Tarwiah Day, when modern pilgrims pray and recite the Quran in preparation for their trip to Mount Arafat, a hill where the Prophet Muhammad was said to have stood and delivered his farewell sermon to the Muslims who had accompanied him for the haj. Upon their arrival at Mount Arafat on the second day, they stand and pray from afternoon to sunset to ask for Allah's forgiveness. 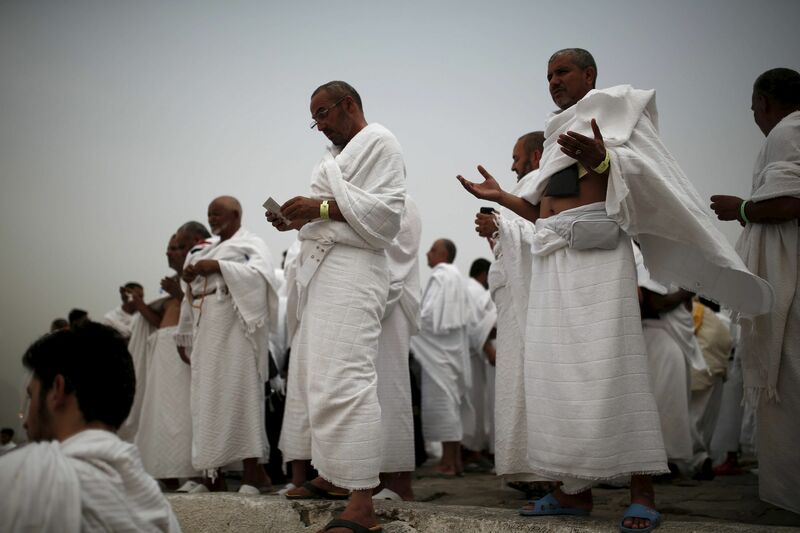 The third day, called Ramy al-Jamarat, marks the symbolic stoning of the devil when pilgrims throw stones and pebbles at three walls in the city of Mina. The remaining two days are spent stoning the walls before they conclude their journey. The cube-shaped black building, said to house a sacred black stone, is located within the Grand Mosque. Pilgrims are required to walk anti-clockwise around it seven times during the haj. All Muslims pray while facing the direction of the Kaaba. Men dress in seamless two-piece white robes, while women wear simple and loose white dresses that do not cover their faces or hands. Perfume is also not allowed and pilgrims must not quarrel, cut their nails or trim their hair or beards. The uniform dress code symbolises the state of purity they are entering - known as Ihram - that ensures a focus of the mind away from the material things in life. Wealth or social standing have no meaning during the haj. This is Singapore's official haj quota, based on 0.1 per cent of the country's Muslim population. Places are distributed based on a first-come, first-served basis, with priority given to first-timers. Minister-in-charge of Muslim Affairs Yaacob Ibrahim said earlier in September that more haj spots could be available in 2016, with Singapore appealing for the quota to be raised to 800. There are currently 17,000 people on the waiting list.